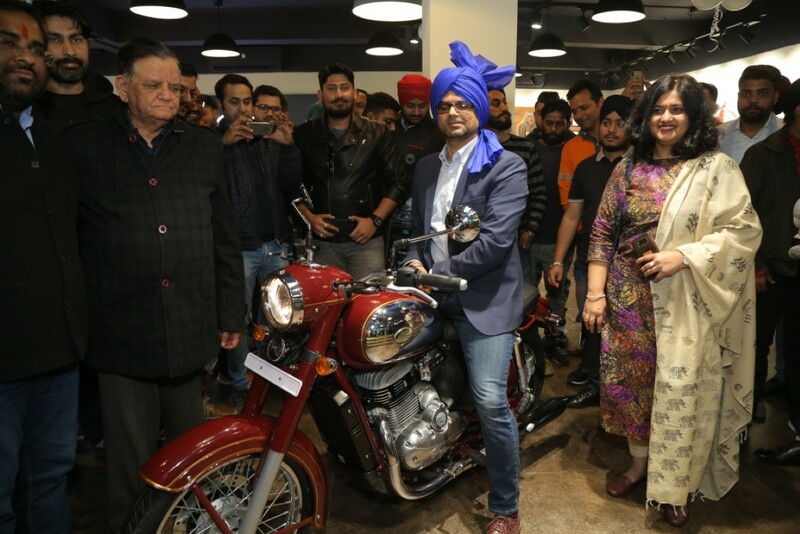 Classic Legends’ Jawa Motorcycles enters Punjab with new showrooms : Classic Legends Pvt. Ltd. is proud to announce its entry into Punjab with the launch of its first Jawa Motorcycles dealerships in Jalandhar and Ludhiana. The brand is aggressively moving ahead with its target of opening 100+ dealerships and the launch of new outlet in Jalandhartakes the total count to 30 new dealerships across India. Mr. Ashish Singh Joshi, Chief Executive Officer, Classic Legends Pvt. Ltd inaugurated the showrooms, amidst a throng of Jawa aficionados and customers. “Given the love and affection we have received since the launch of Jawa Motorcycles in November, it is our duty to put in industry first practices to create an experience that transcends the way premium motorcycles are sold in the country as we expand our network to gear up for deliveries starting March. We are excited that we have already taken the right step forward in building this experience by announcing an industry-first Exchange Program and the largest number of financial tie ups.We urge everyone to walk into the new dealerships close to them to feel the complete Jawa experience”, he added elaborating the brand’s focus on its dealerships and customers. The Jawa and Jawa forty two are priced at INR1,65,000/- and INR 1,56,000/- respectively (ex-showroom,Ludhiana) the Dual Channel ABS variants will be priced at Rs. 1,73,942/- & Rs.1,64,942/- respectively. Bookings are open at the showrooms. “Cake Fiesta” is back at HyperCITY!